With so many solar panels on the market, what’s the best choice for your home? The experts at ReVision Energy aim to make the decision easy for you. We’ve been installing solar electric (also, photovoltaic, or PV) arrays in Maine, New Hampshire, and Massachusetts since the early 2000s, when solar panel sizes were very modest and systems were only suited for remote locations where grid connections were not possible. Now since solar panels have gotten much more efficient – and dropped in price by over 75%! – you can power your entire home with solar panels. While solar technology continues to improve by iterations, the core components have not changed much, and, while the finer points are quite detailed, the basic concept is simple. Grid-tied solar arrays need solar panels and one or more inverters. What Type of Solar Panels Do We Use? 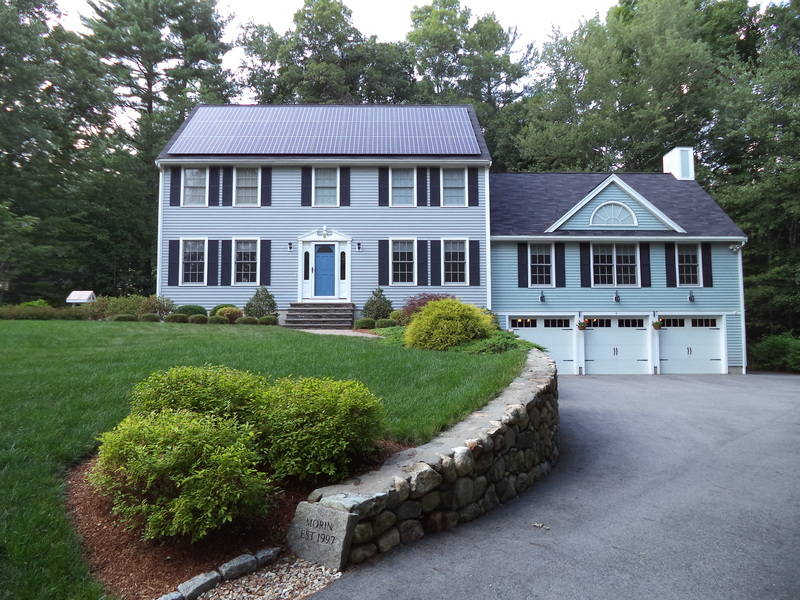 While blue is the dominant (and cheapest) choice, solar panels are available in a range of color choices, such as this sleek-looking solar installation in Massachusetts. Nearly all solar electric modules sold in the United States are crystalline silicon modules (cSi), a form of modules that consist of rigid silicon wafers (which may be ‘poly’ or ‘mono’ crystalline – referring to the process by which they are manufactured and grade of silicon from which they are cut) housed in a weatherproof enclosure (tempered glass and aluminum). All electronics are soldered to a backing board and positive and negative electrical outputs allow the module to be connected to others in a string. This is the same basic design of solar collector that has been used since the 1970s. We frequently hear about upcoming future generations of PV (everything from thin film to building integrated PV) however we strongly feel that cSi modules remain the right choice for the New England market. Solar modules need to endure decades of abuse from wind, snow, and hail, and we know that cSi modules can do that. With over 100,000 modules in the field, we can say that roof leaks and module failures are nearly unheard of. Lest you think that a 30+ year old technology is stale and dusty, recall that loudspeaker technology is essentially the same as it’s been since the 1920s! The advancements in cSi technology have mainly concerned reducing the cost of production of these modules and improvements in performance. For example, in 2009 a typical 3′ x 5′ collector would be rated to produce around 230 watts of electricity. These days, the same footprint may produce more than 300 watts! There are a variety of choices in solar modules today. Nearly all reputable manufacturers will offer a 25-year power production warranty (guaranteeing output of 80% over 25 years, though people have found collectors from the 1970s that still produce 100% of their rated power today). The better manufacturers will also offer at least a 10-year aesthetic warranty, which covers defects in the look of the collector that do not affect performance. Our team that procures modules have over 50 years combined experience in the solar energy industry and scrutinizes manufacturers and their products over a wide range of factors including: performance, build quality of the product, aesthetics, capitalization of the manufacturer (i.e. will they be around 20 years from now to honor a warranty should it be required), product availability, and price. 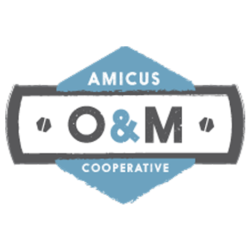 We make large product acquisitions with our partners in the Amicus Solar Cooperative when possible such that we can pass through volume savings onto you. 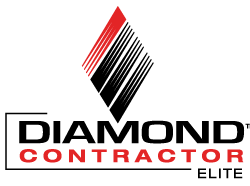 Know that any proposal received from ReVision Energy includes modules that any member of our company would be proud to install on their own roof. What About Solar Roof Tiles? We don’t think New England is ready for them yet, whereas the current technology is proven, mature, and reliable for decades! When hit by solar energy (photons), an electron shakes loose from the doped silicon that makes up a solar panel. Since the electron cannot flow backward across a neutral barrier, it flows through a circuit, creating a current, and therefore, electricity!